We have a fairly small variety of chickens at this time so we can concentrate on breeding better stock. We will be adding more varieties as soon as we find breeding stock that we can be proud to call our own. With the exception of Silkies all of our stock is standard sized. We aim to breed Quality birds so please order as early as possible to assure we have the amounts you desire. Mininum order of 25 chicks to assure safe delivery. China and Japan both claim origin of this breed. They have black skin and 5 toes. 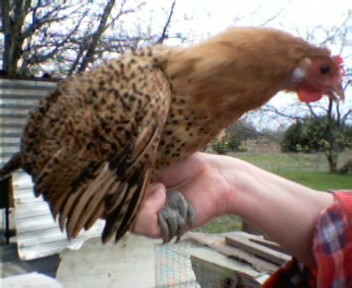 we have both the bearded and non-bearded varieties in our flock. 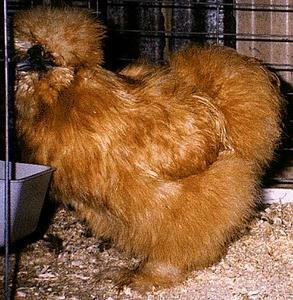 Silkies are EXCELLENT setters and great mothers. A striking contrast of color! You will be pleased with their usefulness as well as beauty. 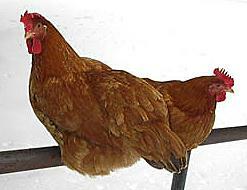 Production Reds are egg laying machines, they mature rather early and lay a good sized egg. 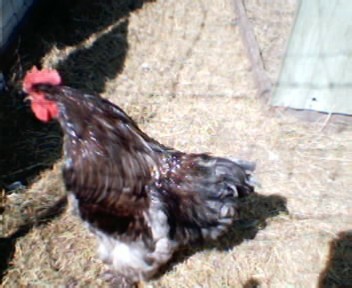 This is our favorite egg laying breed and we are very happy with their performance. Their golden color and cupshaped combs are the basis for their name. A wonderful addition to your flock, and they are one of our favorite. 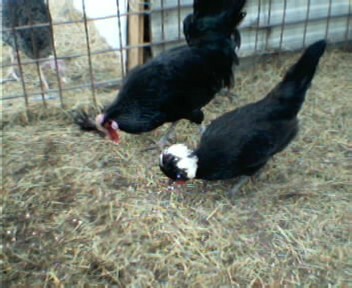 We have blue and white Cochins (please see the description of Blue color on the ducks page). 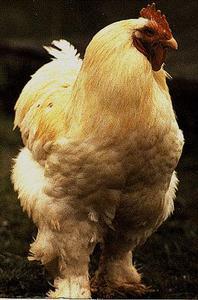 They are an Asiatic breed, that lays brown eggs and tends to be broody. A great addition to every flock, you will be very pleased if you add them.